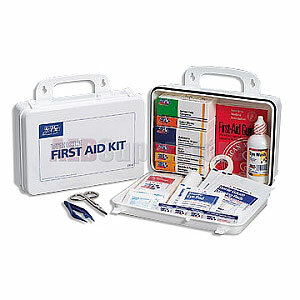 This 93-piece vehicle kit is designed for fleet and commercial vehicles. Its polypropylene case with gasket holds quality brand products that are easily accessible in an emergency. This kit meets federal OSHA recommendations and offers easy refilling with the help of a full-color reordering schematic. Refills are color-coded for ease of identification.